The New York Auto Show has recently begun and Cadillac took this opportunity to reveal the third generation Cadillac SRX. The brand new model has been heavily revised in terms of design and it has been brought up to date with lots of modern technologies. 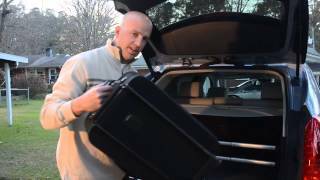 Let's take a look at what we can expect from the Cadillac SRX 2013 in the future. Under the bonnet the Cadillac SRX 2013 sports a 3.6 liter DOHC V6 engine capable of producing 308 horsepower and 265 lb-ft of torque. The engine has been coupled with a 6 speed automatic transmission which sends the power either to the front wheels (in the base model) or to all four wheels in the more costly variant. Performance-wise the Cadillac SRX 2013 is capable of accelerating from 0 to 60 mph in between 7.5 and 8 seconds, and has a fuel economy of 17 mpg city and 24 mpg highway for the front-wheel drive variant, and 16/23 mpg city/highway for the all-wheel drive model. The Cadillac SRX 2013 received a notable face-lift to both ends and it now features a new upper and lower grille and new front fender vents with LED light pipes incorporated. New exterior colors have been made available for the SRX 2013 including Glacier Blue Metallic, Silver Coast Metallic, and Evolution Green Metallic. Furthermore, the highest trim levels of the Cadillac SRX 2013 include a couple of new sets of 20-inch alloy wheels. Although the exterior of the Cadillac SRX 2013 received some enhancements, Cadillac emphasized more on improving the quality of the interior. 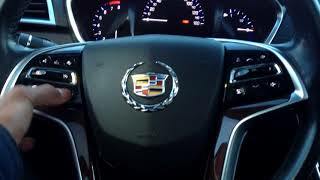 Supposedly the new Cadillac SRX features what Cadillac calls "active noise cancelation technology" and as a result the cabin should now be quieter. Further improvements include new interior color combinations, a new steering wheel as well as a new knob design. 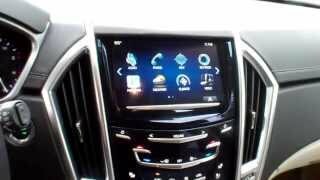 The SRX 2013 is also more up to date in the technology department and the most notable enhancement in this direction is the CUE system. The CUE system includes a new audio system, new controls and an eight-inch multi-touch screen featuring haptic feedback and proximity sensing. The CUE screen menu resembles that of a tablet and offer its users the ability to swipe through different screens and zoon in or out by pinching or spreading the screen with two fingers. Last but not least the CUE system features a USB port which enables the users to connect their smartphone to the CUE system and even more interestingly, the driver will now be able to use chose between two layouts on the CUE screen that will offer a speedo, fuel consumption information, temperature gauges and more. As far as availability goes the Cadillac SRX 2013 is expected to be launched on the US market this fall. 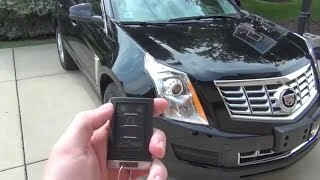 As for the base price, the Cadillac SRX 2013 is expected to be sold at around $37,000. 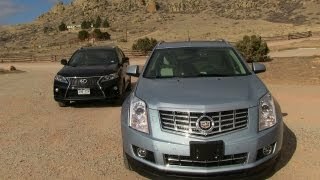 If you're interested in an alternative, SRX's competitors include the GMC Terrain Denali 2013 which is also expected to hit the market sometime this year, the $27,000 Jeep Grand Cherokee 2012 which is one of the best off-roaders currently available and perhaps the $29,300 Nissan Murano 2012 which is quite generous in terms of cargo space.